Let’s Talk Coffee® is known throughout the coffee world as an event like no other. Held in a different coffee-growing country each year, Let’s Talk Coffee® draws a higher contingent of coffee producers than any other industry gathering. But it’s not just growers who come to Let’s Talk Coffee®: Coffee professionals from around the world—from roasters to NGOs to financiers—flock to the event to create a truly unique origin experience. The next Let’s Talk Coffee® will take place in November in Kigali, Rwanda—stay tuned for further details, to be announced in the coming weeks. In anticipation of the Rwanda event, we’re taking a look at some memorable moments from Let’s Talk Coffee® 2014, which took place in Panama. Enjoy this blast from the past, and we’ll see you in Rwanda! One of the guiding principles of Let’s Talk Coffee® is collaboration: Each year, the entire supply chain comes together to forge relationships and share ideas. 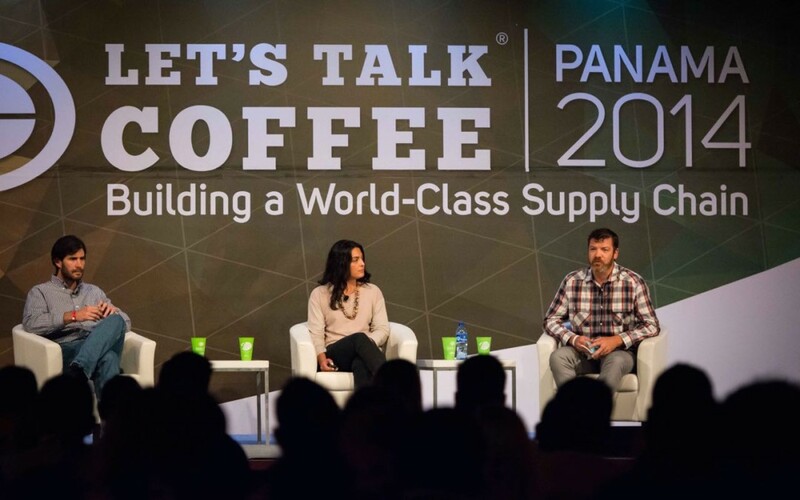 And so it’s fitting that one of the highlights of Let’s Talk Coffee® Panama illustrates how much can be achieved when each link in the supply chain comes together for a common cause. In the session “Making a Barista Champion,” Laila Ghambari guides the audience through the journey she took to win the 2014 United States Barista Championship. It’s an accomplishment she couldn’t have made without Phil Beattie of Dillanos Coffee Roasters, who roasted her coffee, and Emilio Lopez Diaz of Cuatro M Cafes, who produced it. But she didn’t simply ask for their help and then reap the rewards: She traveled with Phil to Emilio’s farm in El Salvador, and the three collaborated every step of the way, from production to roasting to her routine on the big stage. The result was a championship, and this video delves into exactly how they did it.